Bob Dylan could perform in whatever towns and venues he chooses. Most artists in his position routinely would hit the largest markets, while ignoring the rest of the country. It is refreshing, then, that Dylan has begun a summer tradition of staging concerts in America’s minor league ballparks. Just days before he hits the road with Willie Nelson and John Mellencamp for this year’s trek, he and Nelson will warm up their backing bands at the Marcus Amphitheatre as part of Milwaukee’s Summerfest. 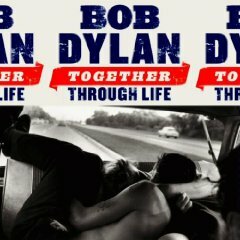 This past spring, right before his European tour came to an end, Dylan revealed If You Ever Go to Houston, the first of what likely will be many songs from his latest endeavor Together through Life to find their way into his concerts. Dylan is always a potent force, of course, but when he’s armed with a fresh batch of material, he tends to be at his best. Nelson, on the other hand, likes to rely heavily on the same collection of crowd-pleasing standards from his back catalogue. Miraculously, though, he and his supporting cast manage to keep them sounding loose and fresh. Now that a new crop of artists is drawing worldwide attention to the African music scene, it is as good a time as any for the continent’s superstars to spend their summer on American soil. Since stepping out on his own in the mid-1980s, Femi Kuti has been fighting to reach a younger generation by making his father Fela’s legendary music more accessible. Not only has he toured with Jane’s Addiction, but he also has recorded with both Common and Mos Def. Yet, he often has seemed to be trying too hard to achieve his goals. On his latest set Day by Day, Kuti continues to bend Western styles around his Afro-Beat-inspired fare, but the results unfold far more naturally than they have in the past. 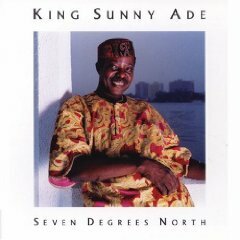 On the other hand, although King Sunny Ade found his groove a long time ago, he, for a variety of reasons, rarely crafts new albums. His most recent effort Seven Degrees North is nine-years-old, and in the wake of V2’s dissolution, it has become increasingly hard to find. Fortunately, the outing recently was reissued, thus providing the impetus for Ade’s latest round of tour dates, during which he will be supported by an enormous outfit that rivals the size of The Polyphonic Spree. WXRT has a long tradition of assembling a blockbuster line-up for Taste of Chicago’s free 4th of July concert. This year is no exception. The intriguing three-act event will feature veteran blues man Buddy Guy, alt-pop outfit Guster, and Stax legend Booker T. Jones, who will be accompanied by Drive-By Truckers. With his latest set Skin Deep, Guy extended his string of inspired recordings, which arguably are among the finest outings of his career. Though the effort is littered with special guests, Guy undeniably is its star. Once again, his sharp-edged guitar solos evoke the danger of the urban jungle from which they emerged. Drive-By Truckers also can pack quite a punch, and in a reprise of the role it played in crafting Booker T.’s new outing Potato Hole, the group likely will find ways of further enlivening his material. Considering the shimmering melodies of its most recent affair Ganging Up on the Sun, Guster’s presence on this bill might seem odd, but the contrasting textures provided by the quartet ultimately will bolster the entirety of the day’s festivities. Most of the best moments on Fountains of Wayne’s latest outing No Better Place: Live in Chicago occur during the set’s bonus material. Setting up shop for an acoustic performance, the band purposefully charts its musical growth by placing a direct emphasis upon its lyrics, melodies, and newfound maturity. Whether this approach will have the same effect over the course of an entire concert — one that mixes sharply written songs from Traffic and Weather with a batch of inferior selections from the group’s earlier endeavors — remains to be seen. At the very least, the show’s format will give Fountains of Wayne a unique opportunity to reinvent and revitalize its back catalogue. Even better, the outfit is unveiling freshly penned material from an album it hopes to complete in the not-too-distant future.